1. 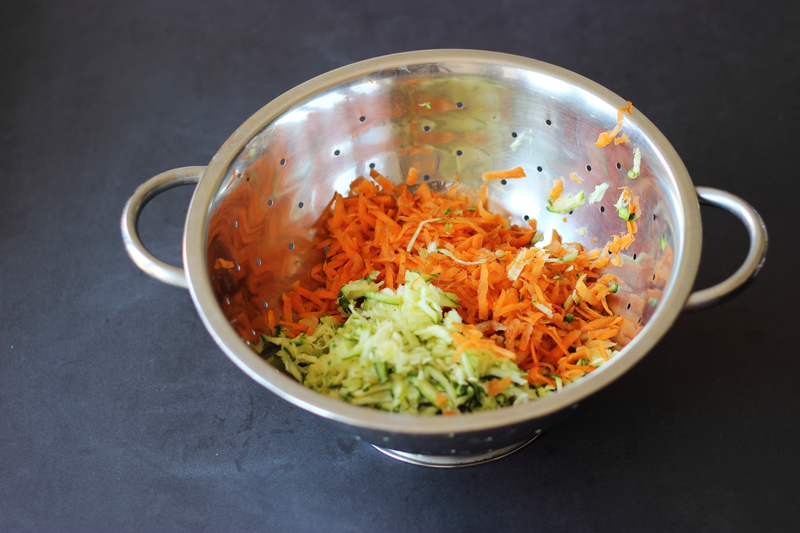 Grate the courgette and carrot. 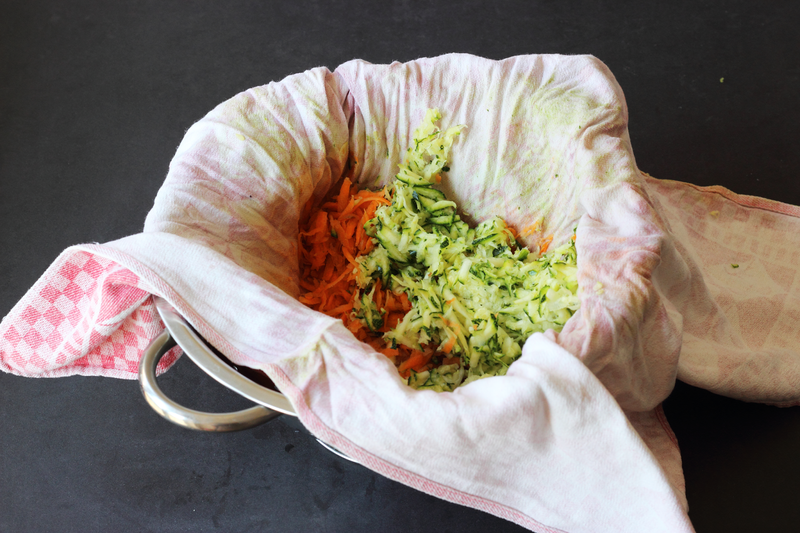 With a dry cloth or kitchen towel, wrap up the grated courgette and carrot, and twist tightly into a ball in order to draw out any excess moisture. Once this is done, sprinkle coarse salt and set aside. 3. In a separate bowl beat two eggs, sieve 1/2 cup of flour and 1/2 teaspoon of baking powder; mix the contents with a whisk so as to avoid any lumps. Add salt and pepper to taste. 4. Finally, add the grated vegetables and 1/2 cup of grated parmesan cheese and chopped fresh parsley. 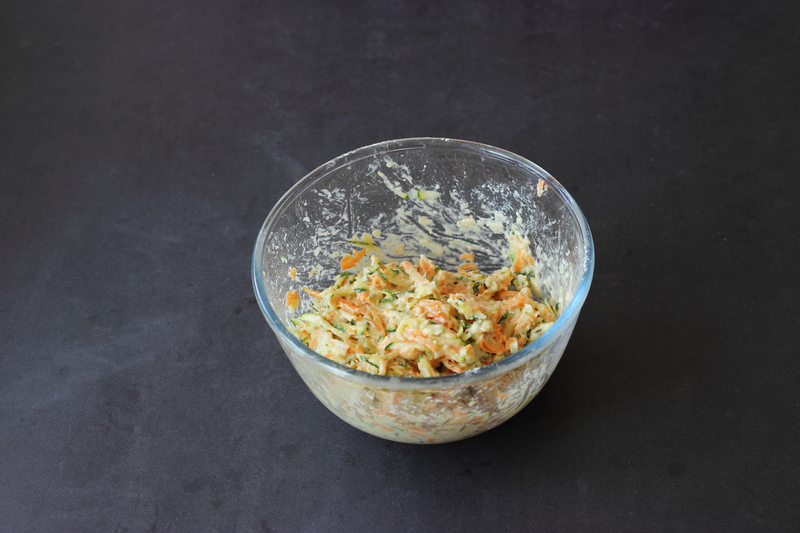 Combine the ingredients using your hands. 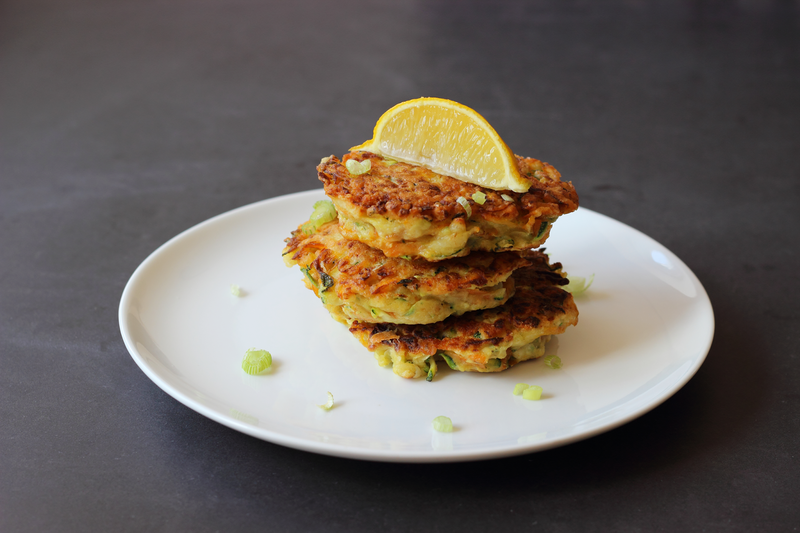 Let me know if you give this recipe a try, or have tried one that’s similar. Enjoy! These look delicious! I will definitely have to try and make these one day! Mmmm that looks delicious. I'll probably make it this week and then let you know how it went. Thanks for the recipe! Ana 🙂 This looks delicious!! I'm going to try it someday 😀 Thanks for sharing !! Looks lovely I can't wait to try this recipe!